Your first look at the return of 'Curb Your Enthusiasm' is here! 'Curb Your Enthusiasm' stars 'Seinfeld' co-creator Larry David as himself in an unsparing, but tongue-in-cheek depiction of his life. Shot in a vérité style and featuring celebrities playing themselves, the episodes are improvised by the actors from an outline created by David. The series also stars Cheryl Hines as Larry's ex-wife Cheryl, Jeff Garlin as David's manager Jeff, Susie Essman as Jeff's wife Susie and JB Smoove as Leon. 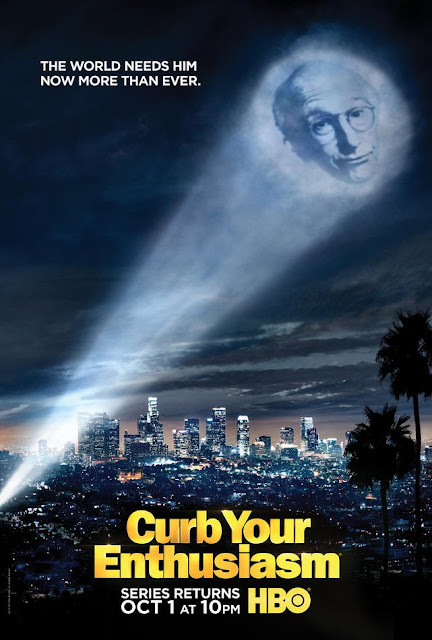 'Curb Your Enthusiasm' season 9 returns on October 1 at 10 PM on HBO, Sky Atlantic will have new season for us in Ireland and the UK on October 2.